Background In many countries, a young person who seeks medical care is not authorised to consent to their own assessment and treatment, yet the same child can be tried for a criminal offence. The absence of child and adolescent mental health legislation in most countries exacerbates the issues young people face in independently accessing mental healthcare. Countries with existing legislation rarely define a minimum age for mental health consent (MAMHC). In stark contrast, nearly all 196 nations studied maintain legislation defining a minimum age of criminal responsibility (MACR). Objective This review highlights inconsistent developmental and legal perspectives in defined markers of competency across medical and judicial systems. Methods A review of the MAMHC was performed and compared with MACR for the 52 countries for which policy data could be identified through publicly available sources. Findings Only 18% of countries maintain identifiable mental health policies specific to children’s mental health needs. Of those reviewed, only 11 nations maintained a defined MAMHC, with 7 of 11 having a MAMHC 2 years higher than the country’s legislated MACR. Conclusions With increasing scientific understanding of the influences on child and adolescent decision making, some investment in the evidence-base and reconciliation of the very different approaches to child and adolescent consent is needed. Clinical implications A more coherent approach to child and adolescent consent across disciplines could help improve the accessibility of services for young people and facilitate mental health professionals and services as well as criminal justice systems deliver optimal care. However, many of the countries that insist for their children and adolescents to have parental consent for mental health treatment—usually up until the age of 18—often have criminal justice systems that maintain policies that qualify an adolescent’s and occasionally even child maturity equivalent to that of adults, charging them with adult responsibilities and correspondingly harsh punitive judgements. The legal systems of many countries use an ‘age of majority’ strategy in determining consent rights. The age of majority is defined as the age at which an individual is considered an adult, that is, fully independent of parental or guardian oversight, actions and decisions. Age of majority is based on historical precedent rather than on developmental markers of psychological and physical maturity; for example, the physical capacity to serve as an artillery-carrying soldier in times of war has influenced many legal frameworks.7 During the First and Second World Wars, the age of majority was reduced from 21 to 18 in order to increase the number of available soldiers for combat.7 This change has persisted to the present day and consequently, in most countries, the age of majority is 18 years old. Thus, an arguably arbitrary determinant of adulthood has established the precedent for legal considerations of ‘maturity’, including the right to consent to medical procedures.8 9 Many nations require consent from primary caregivers and not from children (up until 18 years) for most medical procedures. This paper examines legislation across the globe and compares the minimum age of mental health consent (MAMHC) to the minimum age of criminal responsibility (MACR). This comparison allows us to determine if there are discrepancies in the legal determination of competence, capacity and responsibility across health and justice sectors. Differences between strictly defined MACR and MAMHC. Countries were chosen based on the presence of age determinants acquired by publicly available data. Dotted lines indicate trend differences in MACR compared with MAMHC across countries. In many countries, the definitive MAMHC is significantly higher than the MACR. MACR, minimum age of criminal responsibility; MAMHC, minimum age of mental health consent. MAMHC for each of the 50 US states was taken from the Guttmacher Institute,28 the National Defence Attorneys Association and state government websites. In states where no specific MAMHC is legislated, the federal age of majority (18) was used. In states where MAMHC is defined as ‘mature minor,’ the age of 12 was used based on traditional doctrine. In states that grant unrestricted minor consent access, the age of 7 was defined by the authors. To determine a uniform MAMHC for the USA, the modal MAMHC across all 50 states was selected. While most countries lack legislation defining MAMHC, nearly all the same countries had a clear MACR, with the global median MACR being 12 years.33 MACR is defined as the age at which a young person can be held criminally responsible and thus charged as an adult in court. MACR assumes that a child or adolescent (depending on that country’s legislated age) possesses the adult-equivalent capacity to understand the intent, severity and potential consequences of a crime. MACR laws indicate the young person has the emotional, mental and intellectual ability to discern and be held responsible for their actions.34 Almost 90% of all countries maintain MACR laws that allow criminal prosecution of children and adolescents between age 0 and 14 years. We performed a cross-national comparison of the MACR and CAMH Policies in countries where that information was publicly available and/or definitively in existence. For each country, we evaluated the MACR in relation to the international average age of majority, recognised as 18 years. This analysis revealed considerable difference in definitions of maturity internationally as indicated by the wide variance in the MACR across nations. Additionally, the MACR for most countries tended to be considerably lower than the average legislated age of majority. We then compared the MACR with CAMH policies (figure 2 and online supplementary Webappendix 1). We conducted a number of analyses: first, we explored the difference in mental health policy type across countries with similar MACR ages across 52 countries. Of those surveyed countries, 14 countries with a median and modal MACR of 14 years were described as having a Group A mental health policy type, indicating the most sophisticated legislation that included a national policy or programme that both recognises the unique mental health needs of adolescents and clearly enumerates a national plan of action to address such needs. Group B mental health policies were those nations that recognise the developmental problems of adolescents but do not enumerate a unifying plan of action. These were present in 11 surveyed countries with a median MACR of 12 and modal MACR of 14. Fourteen countries with a median MACR of 13 years made up Group C, defined as policies that recognise the mental health problems of adults with some beneficial impact on adolescent mental health needs. Countries not listed in Policy Groups A–C were assumed to fall under Group D, identified as countries with no clearly identifiable mental health policy. These ‘Group D’ countries have a median MACR of 13 years. Overall, these analyses suggest that only 7% of included countries have national policies that recognise and plan for the unique mental health needs of children and adolescents.6 32 This contrasts with a median MACR of 14 years (and a modal of 10 years), where children and adolescents are legally deemed responsible for their actions. Global differences in national policy emphasis on children’s mental health compared with that nation’s minimum age of criminal responsibility (MACR). MACR is presented according to different age brackets (ages 0–9; 10–13; 14–17 years) and compared with that country’s policy status according to children’s mental health needs. 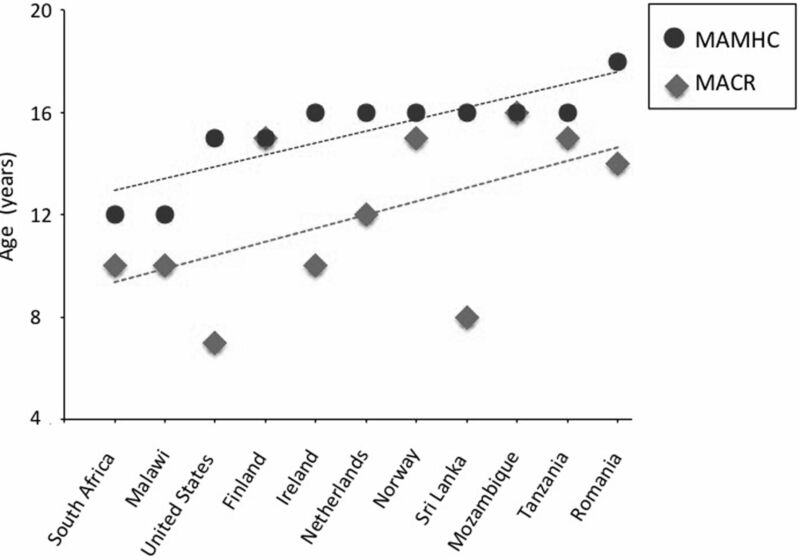 Those countries with more consideration for the specific needs of younger populations were categorised as Group A countries and depending on relevant factors other countries were grouped from B to D with those in Group D having the least specific consideration of child and adolescent mental health needs in their national mental health policies. The term mental competence is a legal judgement that maintains similar definitions across medicine and law. In law, competence refers to the aptitude to differentiate right from wrong as well as the ability to express oneself.35 Similarly, medical determination processes describe a patient’s competence as the capacity to comprehend the presented information/diagnoses, weigh all options, make a decision and act independently.36 Capacity is a clinical assessment of a patient’s physical, mental and emotional aptitude. In medicine, this is measured in terms of understanding the nature and consequences of a proposed treatment and treatment refusal. In law, the capacity to understand the nature and consequences of a committed crime and the ability to stand trial are assessed in determining a person’s competency. Nearly every nation maintains MACR legislation that declares an adolescent’s competency to understand the implications of a crime and thus be tried as an adult. However, only a handful of nations have MAMHC legislation that support similar age/level of competency standards necessary for consent to mental healthcare. Consequently, in many countries, an adolescent who seeks medical help may not autonomously consent to evaluation without parental approval, but the same adolescent can be tried in court for a criminal offence. Existing MAMHC and MACR legislations determine age of competency based on similar definitions of capacity. However, actual age of competency varies significantly between these legislations in a majority of countries. We directly compared the MAMHC to MACR specifically for counselling services, which is often considered a less intense and more available type of mental health intervention, across 52 countries where publicly accessible information related to such legislation existed. This analysis demonstrates that in most countries the definitive MAMHC is either poorly defined or is older than the MACR. When we restricted our analysis to the 11 countries with strictly defined MAMHC and MACR ages, more than 80% of these countries maintained different MAMHC and MACR ages, with 7 of the 11 countries having a MAMHC age between 2 and 8 years higher than the country’s mandated MACR (figure 1). The USA serves as an example of how large the gap between a nation’s MAMHC can be from its mandated MACR. In the USA, 33 states have no set MACR, often applying a judicial capacity related test instead. Adolescents are thereby theoretically able to be sentenced to criminal penalties at any age.37 38 Of the 17 states that do set a MACR, North Carolina has the lowest at 7 years, while Wisconsin has the highest at 10 years.38 In comparison, 35 states require patients possess a MAMHC of at least 14–15 years or older.39 Of note, these are among the lowest global MAMHC. This analysis demonstrates the non-uniformity of CAMH policies internationally, as only a few of the countries in Groups A–C had established consistent age markers for competency for both criminal responsibility and mental health consent. The maintenance of different legal thresholds for the age of medical and legal consent within a majority of countries is not aligned with the emerging evidence-base for the development of moral judgement, decision-making and responsibility.6 32 Responsibility for a crime requires an individual to have the capacity to make moral judgments, to understand social and legal norms and to weigh risks and consequences both for themselves and for others.47 Responsibility for medical decision-making requires the capacity to understand and to weigh information about the risks and benefits of a procedure and to engage in a reasoned decision-making process. While criminal responsibility entails another set of evaluative criteria, such as intent and motivation, the first order decision-making competencies in criminal acts and in medical decision-making are arguably sufficiently similar to warrant closer examination of the globally widespread differences in MACR and MAMHC legislation. We suggest this examination is particularly important in the context of mental health treatment, where the benefits of early intervention to treatment are significant and the barriers to accessing services are already high. In light of the increasing evidence supporting the importance of early access and treatment of mental illness,49 50 it is important to ensure that mental health legislation does not add a further hurdle for adolescents to access services. Moreover, inconsistencies between medical and legal thresholds for competency in adolescents have significant consequences for the management and care of vulnerable adolescents. Therefore, early identification of those whose cognitive and executive capacities are not developed sufficiently, and coordinated efforts to determine decision-making competencies, may well have a positive impact in the juvenile justice sector as well as in the mental health sector, as both criteria might benefit from re-evaluation in many countries across the globe. The broader presence of developmentally sensitive legislation on the minimum age for mental health consent (MAMHC) would likely better facilitate competent young people to independently access and consent to mental health interventions. Below this age, consent of the parent/guardian or the court is necessary for the purposes of a proposed treatment, unless the adolescent is deemed competent. We propose that these legislative limitations contribute to adolescents’ inability to access needed and essential mental healthcare in a timely manner. Establishment of MAMHC legislation rooted in scientific understanding can help implement consistency in the law. Development of standardised and objective tools/measures of adolescent competency could be a solution but will have implementation challenges, given the broad individual, diagnostic and procedural differences that they will be evaluating. If too stringent, then there is the danger that capable children might be wrongly excluded. At the very least, consistent approaches are recommended within a single country to match age of consent to mental healthcare with other measures of competency such as that used in the legal system. Overall, these data suggest a need for more evidence on which to base legislation on medical and criminal decisions by better determination of when a young person can consent for mental health treatment. Following from this clarification, more uniformity in international CAMH policies are possible and better coherence between MAMHC and MACR. The authors thank Gabriela Pavarini and Anna Felnhofer for helpful comments on an earlier draft and Jess Shatkin for providing further clarification on data gathered.
. Cognitive development and adolescent legal rights. Am Psychologist 1989;44:895–902. Sowell ER , et al.
. Cross-national comparison of youth justice: Youth Justice Board, 2008. www.yjb.gov.uk. (accessed 13 Jun 2018). Youth Policy. http://www.youthpolicy.org/factsheets/ (accessed 13 Jun 2018).
. Laws and Policies Affecting Adolescent Health. World Health Organisation, Geneva 1987. World Health Organisation. World Mental Health Atlas 2014. Geneva, 2015. http://www.who.int/iris/handle/10665/178879. Law Library of Congress. Children’s Rights: United Kingdom (England and Wales), 2015. July 02 ed. Law Reform Commission. Children and the Law: Medical Treatment. 1393-3132. Ireland, 2011.
. Autonomy of children and adolescents in consent to treatment: ethical, jurisprudential and legal considerations. Iran J Pediatr 2014;24:241.
. Legal Minimum Age of Consent to Medical Treatment. Children and International Human Rights Law: The Right of the Child to be Heard 2013:82–7. Guttmacher Institute. www.guttmacher.org (accessed 13 Jun 2018). Central Intelligence Agency. https://www.cia.gov/index.html (accessed 13 Jun 2018). ; Mental health legislation & human rights. Geneva: World Health Organization, 2003.
. Mental health resources in the world: results from Project Atlas of the WHO. World Psychiatry 2002;1:40–4. World Health Organization. Child and Adolescent Mental Health Resources Atlas- Global Concerns: Implications for the future. Geneva: World Health Organization, World Psychiatric Association, International Association for Child and Adolescent Psychiatry and Allied Health Professionals. WHO Press,, 2005. Penal Reform International. The minimum age of criminal responsibility. 4: Justice for Children Briefing, 2013. http://www.penalreform.org/wp-content/uploads/2013/05/justice-for-children-briefing-4-v6-web_0.pdf. Penal Reform International. Protecting children’s rights in criminal justice systems: A training manual and reference point for professionals and policymakers. London: Penal Reform International, 2013. Blacks Law Dictionary. Mental Competence. 2nd Ed: The Law Dictionary.
. Children’s Rights and the Minimum Age of Criminal Responsibility: A Global Perspective: Ashgate, 2009. Child Rights International Network. Minimum Ages of Criminal Responsibility Around the World: Child Rights International Network, 2016. Great Britain. Age of Legal Capacity (Scotland) Act 1991. [Excerpt. 25 July 1991]. Current Law Statutes Annotated Great Britain Sweet & Maxwell, 1991:50. Medical Consent of Minors Act. 1976. SNB: c. M-6.1. Library of Congress. Children’s Rights: International and National Laws and Practice (Australia), 2007. http://www.loc.gov/law/help/child-rights/australia.php.
. The Age of Criminal Responsibility. Australian Instit Criminology, 2000.
. The age of criminal responsibility and the age of consent: Should they be any different. N Ir Legal Q 2016;67:343. 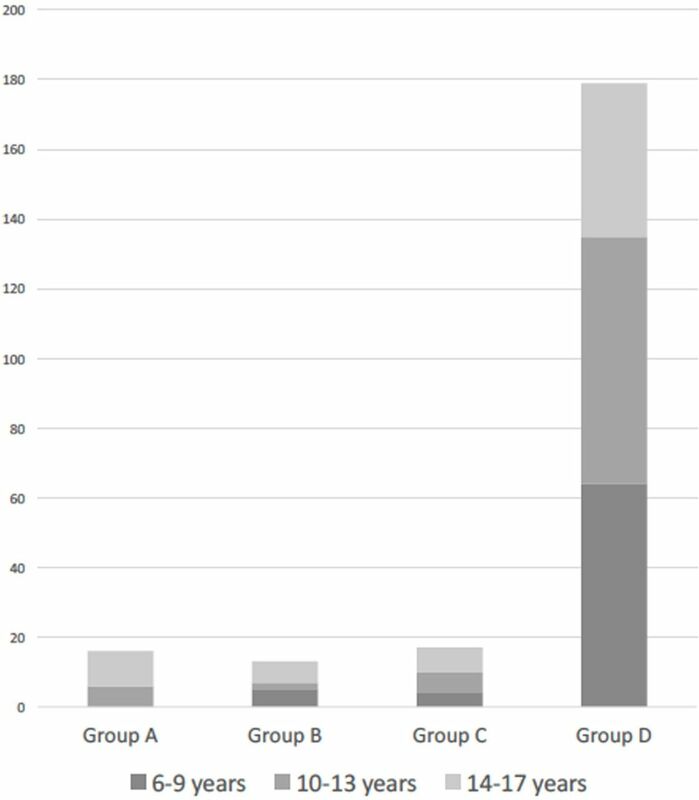 Contributors MN acquired, analysed and interpreted the data. MF conceived of the paper and drafted the paper with MN. IS provided critical revision. Funding MF was supported by the National Institute for Health Research (NIHR) Collaboration for Leadership in Applied Health Research and Care Oxford at Oxford Health NHS Foundation Trust. IS is funded by an Investigator award from the Wellcome Trust: 104825/Z/14/Z. Disclaimer The views expressed are those of the author(s) and not necessarily those of the NHS, the NIHR or the Department of Health and Social Care. The funder had no role in the collection, analysis or interpretation of data, in the writing of the report or in the decision to submit the article for publication.